CAD for the Ornamental Craft. FabCAD Lite offers our customized AutoDesk CAD system specifically configured for the unique needs of ornamental metal artisans, blacksmiths and fabricators. It includes our extensive Library of castings and forgings from the leading manufacturers of ornamental components. Our product will help to speed up production in your shop, help your client visualize the finished product before it’s built, and virtually eliminate fabrication errors. This is a great product if your shop builds "one of a kind" metal products. Best for experienced CAD users, this version does not include any automated drawing capabilities. NOTE: If you are a beginner, we have on line training to help you get up and running but the learning curve will be longer than with our Premium Package. FabCAD Lite includes the Design Library. FabCAD Lite and FabCAD Premium are powered by the FabCAD Drawing Engine — a customized AutoDesk CAD system configured for the unique needs of the ornamental metal industry. All of our configurations are made with ornamental fabricators in mind. All drawings are compatible with most CAD and architectural design formats. Why AutoDesk? AutoDesk is the worldwide leader in CAD software development. The company has created a global network of developers and provides great products for companies like FabCAD to develop industry specific, user friendly programs. Tools to create photo realistic demo drawings, and automated programs to maximize your personal productivity. Please refer to our pricing table to find the right FabCAD product to fit your needs. FabCAD is a fabrication, installation, sales and management system designed to make your business more efficient and competitive. Think of the drawing screen as your workbench: with FabCAD you don’t draw — you build the work. 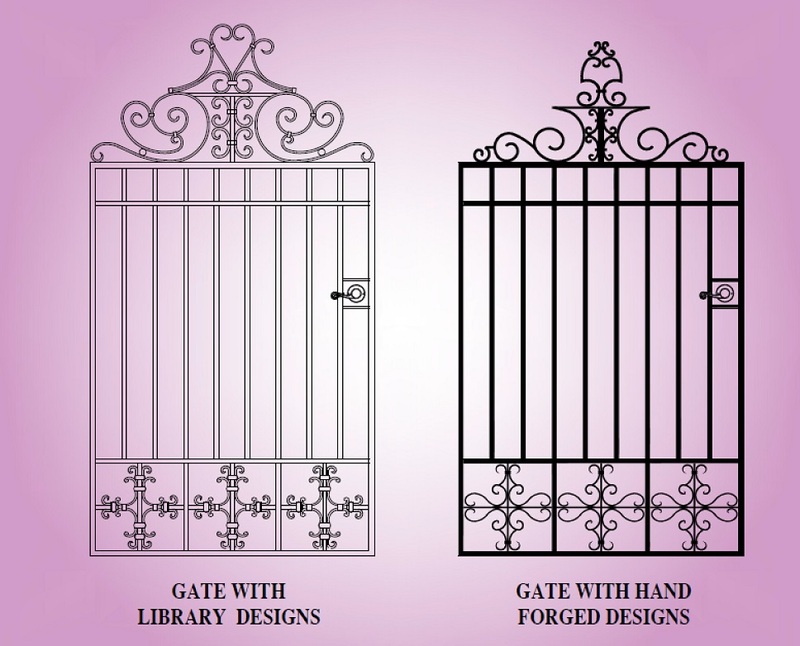 The two main features of FabCAD are 1st: the 13,000 part casting and forging library, and 2nd: we have these automatic gate, railing and fence drawing programs. The icons at the top of the screen use familiar fabrication terms. Each new buyer receives live on-line training to get you up and running fast. "If you can FAB it, you can CAD it." That's what Dave Filippi has been telling metal fabricators and designers since 1989. Copyright © 2018 FabCAD, Inc. All Rights Reserved.